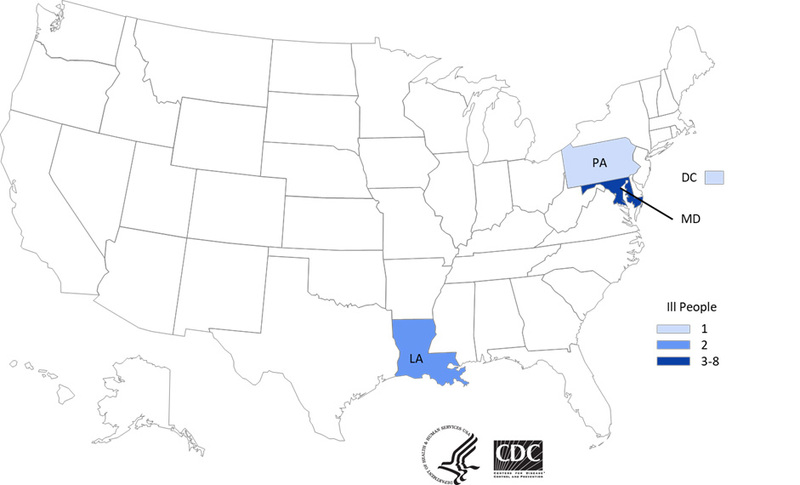 A multi-state outbreak has already affected 12 people. Put down the Old Bay, people. The US Centers for Disease Control and Prevention is investigating a multi-state outbreak of Vibrio parahaemolyticus infections linked to the consumption of fresh crab meat imported from Venezuela. And no matter how much you love seafood, this is definitely not an infection you want to risk. Vibrio parahaemolyticus is a bacterium in the same family as the kind that causes cholera, according to the Minnesota Department of Health. It lives in saltwater and can cause gastrointestinal illness in humans. Specifically, Vibrio bacteria can lead to watery diarrhea, sometimes coupled with abdominal cramping, nausea, vomiting, fever, and chills, the CDC reports. Severe illness from Vibrio bacteria is rare and usually occurs in people who have a weakened immune system. In the case of this outbreak, 12 people have fallen ill, with four of those people having been hospitalized. The people who’ve gotten sick are from several different states, including Maryland, Louisiana, Pennsylvania, and the District of Columbia. Anytime an outbreak is that widespread, it’s cause for concern. Epidemiologic evidence suggests that fresh crab meat imported from Venezuela is probably the source of this outbreak, according to a press release provided to Inverse. This meat might be labeled as either fresh or precooked, and it’s commonly sold in plastic containers. The CDC recommends against consumers buying or eating fresh crab meat imported from Venezuela for now, and that neither restaurants serve it nor retailers sell it. If you have crab meat from Venezuela, the CDC’s recommendation is simple: Throw it out. Or, if you bought fresh crab meat and don’t know where it’s from, you should still throw it out. Better safe than sorry. Food that’s contaminated with Vibrio usually looks, smells, and tastes normal. So far, symptoms associated with this outbreak began around dates ranging from April 1 to July 3, 2018, the CDC reports. If you experienced some of the above symptoms during that time after eating crab, you may have been affected. If you do find yourself sick and suspect you might have eaten crab contaminated with Vibrio parahaemolyticus, you should drink lots of liquids to replace fluids lost from diarrhea. The symptoms usually only last around three days, and most people recover without treatment. However, if you have a weakened immune system and think you ate crab that made you sick, definitely consult your doctor. More severe complications from Vibrio parahaemolyticus are possible in that case. For now, it’s probably best to avoid any summer crab boils, as tasty as they may sound. Correction 7/16/18: This article includes an image shared by the US Centers for Disease Control and Prevention in its report on a multistate outbreak of Vibrio parahaemolyticus. This report previously included an image of a crab that is not indigenous to Venezuela.